a great fly in boutique farm retreat. fly in hunters or outdoor adventure retreat getaway. 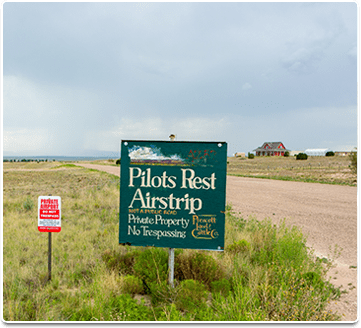 has Pilots Rest fly in 5200 ft runway with hangar space-up to 2- 40 acres available. great water table for all kinds of gardening and animal farming. fly in corporate ranch retreat. 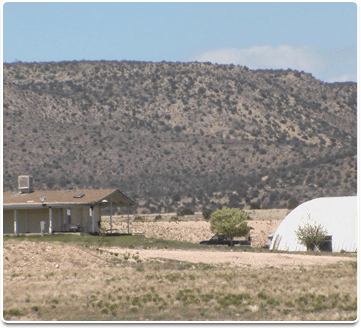 health and wellness or rehab retreat and farm. scenic bed and breakfast farm. perfect for lavender or wildflower farm. great location for tomato and vegetable greenhouse farm..
wonderful location for wilderness adventure retreat business. 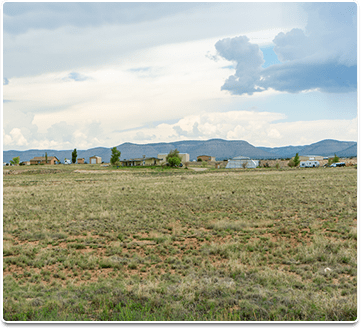 OWNER CARRY BACK AVAILABLE Lots of open riding trails in and around this PAULDEN RANCH LAND for sale setting, and thousands of acres of government forest land just to the mountains in the north, all within this spacious Prescott Arizona RANCH land for sale location. 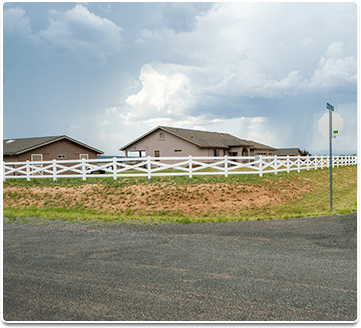 This PAULDEN horse property for sale in is well suited for an exclusive horse property arena and a private cattle ranch. 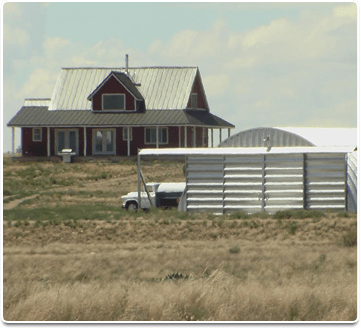 For the right person, this property is well suited for a horse pasture farm, or at least, an organic farm/ranch. Why not at least grow an organic garden with an abundance of well water available for your growing pleasure. 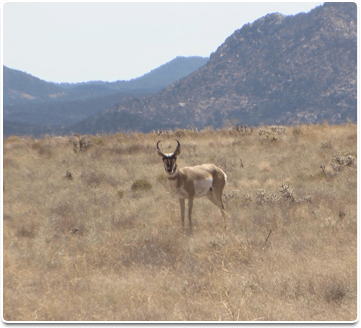 The Prescott horse RANCH property can be a hunters dream as well with pronghorn antelope and deer country roaming in your back yard. 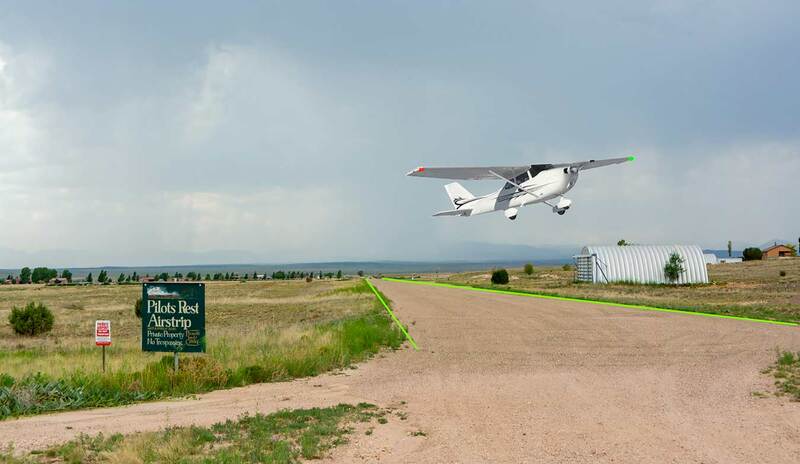 To top it off, some of this RANCH land for sale in Paulden features direct access to a 5000+ ft runway PRIVATE AIR-STRIP. 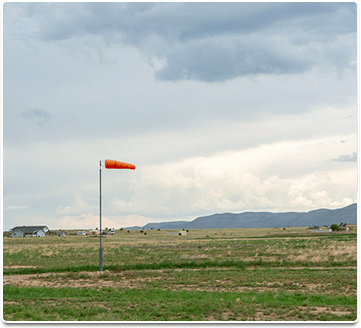 This is one of the larger Prescott airstrip runways in the area with hangar capability right at your back yard starting at two acre RANCH parcels! 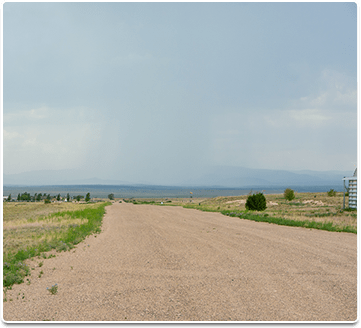 These northern Arizona land for sale parcels are priced to sell with lots of meat on the bone. *** We are negotiating prices to sell! 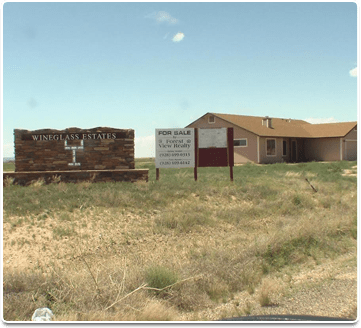 *** Priced to sell at $29,900/acre for 2 acre minimum. 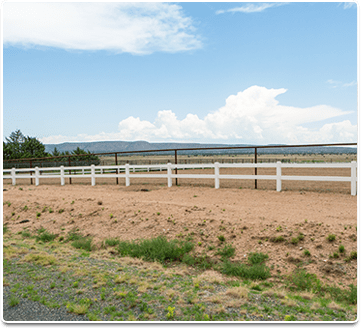 Lots of open riding trails in and around this Prescott horse property for sale setting, and thousands of acres of government forest land just to the majestic mountains in the north, all within this spacious Prescott Arizona land for sale location. 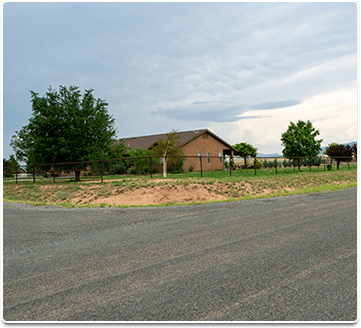 This horse property for sale in Paulden is well suited for an exclusive horse property arena and a private cattle ranch. 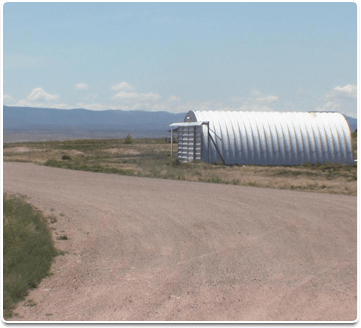 For the right person, this property is well suited for a horse pasture farm, or at least, an organic farm/ranch. Why not at least grow an organic garden with an abundance of well water available for your growing pleasure. 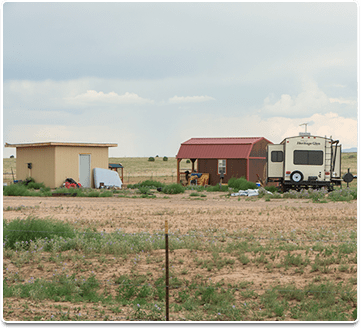 The Prescott horse ranch property can be a hunters dream as well with pronghorn antelope and deer country roaming in your back yard. There are herds of pronghorn antelope and deer that frequent this area. 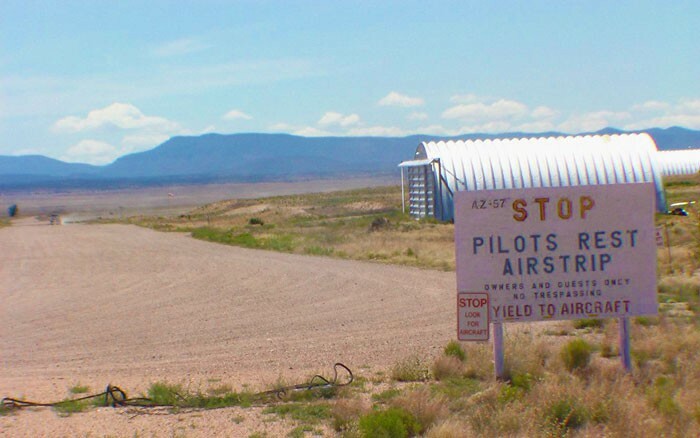 To top it off, most of this land for sale in Paulden Arizona features direct access to the well maintained and grandfathered Pilots Rest, a 5000+ ft private residential airpark lots. 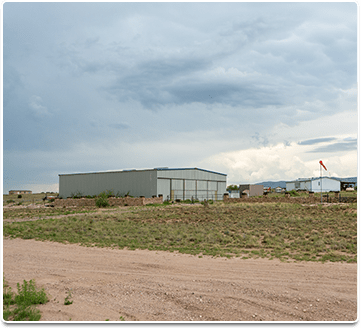 This is one of the larger Prescott residential runways in Arizona with hangar capability right at your back yard starting from two acre parcels and up! 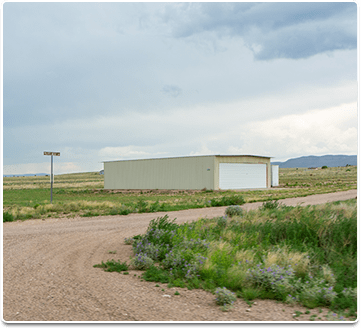 Air strip frontage is on 30 acres to the south side. 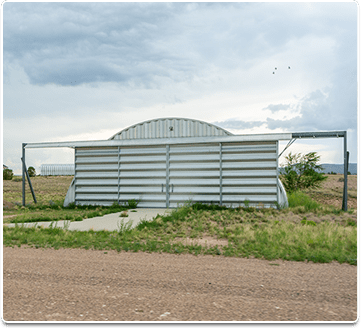 There is a 40 acre parcel with frontage available on the north side of the residential runway. This can be divided down to 2 acres as well. 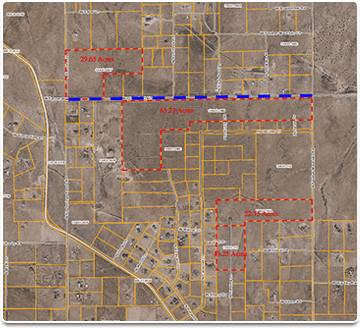 On the south side of the adjoining residential air strip, there are 4-70+ acres of frontage that can also be divided. 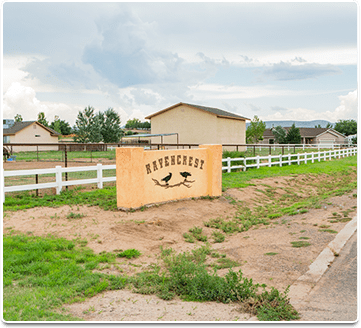 The Ravens Crest land to the south is available in 2, 8, 16, or 32 acre sizes. 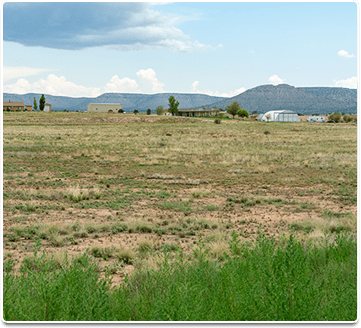 29k – 2 acres- off runway 45k – 4 acres 160k-8 acres 310k-16 acres 690k-32 acres Wineglass airstrip frontage; 300k-10 acres 900k-40 acres 1.45 mill-70 acres These northern Arizona land for sale parcels are priced aggressively with lots of meat on the bone. Seller financing with easy terms are available. Broker participation is welcome. We are negotiating and will look at all reasonable offers! 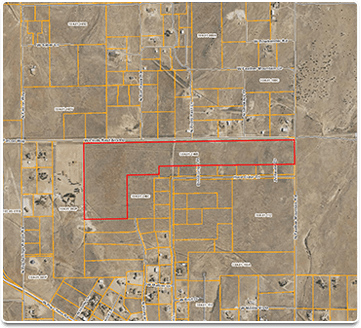 These parcels are priced to sell for 2 acre minimums up to 140+ acres and we can look at any ideas involving business ventures relating to airpark programs. 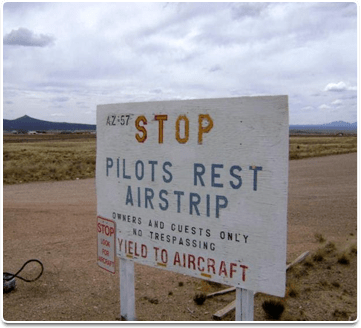 Please call 480-837-8768 RECREATION AND ACTIVITIES FOR THE GREATER PRESCOTT AREA Aviation- This Prescott mountain land is located only 20 minutes from the Prescott airport on state route 89 which has daily flights throughout the day. Horses- Breeding, riding and showing is a cornerstone of Western culture. Since 1888 nothing compares to the World’s Oldest Rodeo during Prescott Frontier Days where the world’s best compete every year. 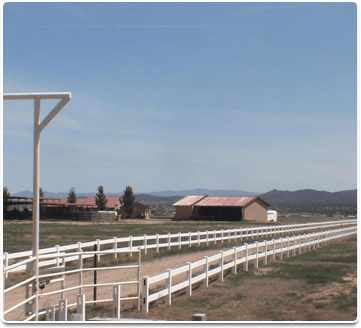 Nature and the Great Outdoors- If you’re looking for Prescott AZ activities that everyone in the family can enjoy the Heritage Park Zoological Sanctuary offers an assortment of rescued animals from barn owls to tigers. You’ll also find the Prescott National Forest with more than 450 miles of recreation trails or the Prescott Parks and Recreation Department outdoor fun. For water activities in Prescott AZ, be sure to check out Lynx Lake, Willow Lake, Watson Lake and Goldwater Lake. When you add in a host of various restaurants specializing in countless kinds of dishes, and the Prescott Gateway Mall for top-quality shopping, you can see there are Prescott AZ activities for everyone. Prescott Attractions- Nestled in the conifer forests of the Bradshaw Mountains, Prescott is a historic city boasting much in the way of adventure and culture. Golfers flock to its six pristine courses, while outdoors enthusiasts find exciting hiking trails, secluded picnicking spots and adventure on the waters of its five lakes. Discover the history of the Old West in the city’s museums, historic railways and the Pioneer Home Cemetery, where “Big Nose Kate” Elder, wife of Doc Holiday, found her final resting place. 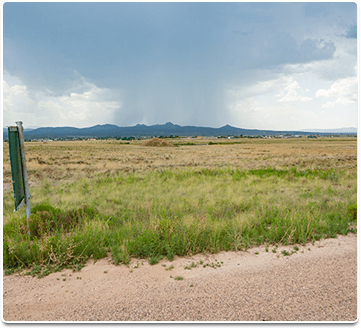 TOURING- There are dozens of fascinating things to do in Prescott, AZ – picking just one of the area’s Arizona visitor attractions would be a shame! Choose from some of the famous tourist attractions in Arizona like Prescott’s Whiskey Row, the Old Courthouse and Courthouse Plaza or even Arizona visitor attractions in nearby Jerome, Phoenix, Sedona and of course – the Grand Canyon, the most famous tourist attraction in Arizona. For family-fun or grown-up adventures alike, check out nature and wildlife parks; authentic Western experiences; arts & science attractions; sightseeing opportunities; historical landmarks; state parks and recreation areas. The fun never ceases at these Prescott Arizona visitor attractions. Whiskey Row- The 100 block of South Montezuma Street in Prescott, Arizona has long been known as Whiskey Row, for the numerous saloons that once lined the street. Today, Whiskey Row hotspots include the Hotel St. Michael, Bird cage Saloon, Hooligan’s, and the Jersey Lilly. Prescott Frontier Days- Since 1888 folks have come from miles around to see what the ruckus in Prescott, Arizona was all about. Every year that ruckus gets bigger, the contestants more daring and bold. It’s about time you came to the Prescott Frontier Days ®, Inc. 2009 World’s Oldest Rodeo ®. We’re the worlds oldest, and we’re happening June 29 – July 5, 2009. Tickets on sale now! Entertainment- If you love the theatre, be sure to visit Sharlot Hall Museum and its Blue Rose Theatre that has offered engrossing historical productions since 1994. In addition, the Ruth Street Theatre, located on the Prescott High School campus, offers public productions year-round, like the summer Shakespeare Festival. For concerts, theatrical performances and sports there’s Tim’s Toyota Center, which is also home to the Arizona Adrenaline professional indoor football team (AIFA) and the Arizona Sundogs ice hockey team. Be sure to also check out the Elks Opera House, named in the National Register of Historic Places in 1978, for concerts, theatrical performances and conventions. Arts- For art lovers, you’ll find the Phippen Museum, the Smoki Museum of American Indian Art & Culture and the Yavapai College Performance Hall and Art Gallery, which features fine works of art, but has also hosted world-renowned entertainers like Bill Cosby, Itzhak Perlman and Garrison Keillor.